Lisa Gornick is rapidly staking a claim to being one of our best writers. With her last novel, Tinderbox (2013), and now this collection of linked stories, she has served notice that she is a writer of consequence. 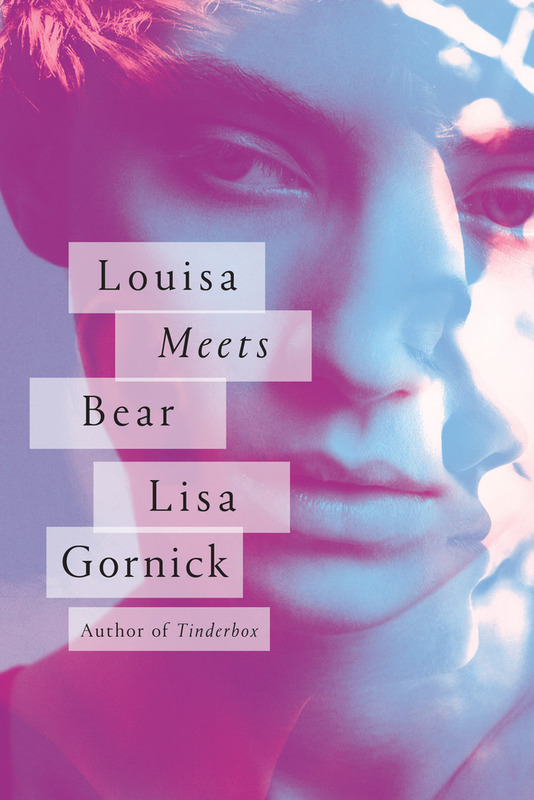 Gornick’s background as a psychotherapist educated at Princeton, Yale, and Columbia has provided her with piercing insight into a range of recognizably flawed and very human characters, and she has used this skill to good effect in Louisa Meets Bear. Each story can stand alone as an elegant character study distinguished by well-chosen telling details, but together these ten pieces combine forces to become a novel exploring the lives of Louisa, William “Bear” Callahan, and the friends, lovers, and family members who move in and out of their complex lives over a period of 25 years and across North America and Europe. The opening story, “Instructions to Participant,” concerns a re-entry student majoring in social work as she conducts her first home visit, which goes awry in a particularly heartbreaking way. The story is narrated by her daughter, Lizzy, who is Louisa’s cousin. She becomes pregnant in college and decides to give her baby girl up for adoption. The two seemingly unrelated plot strands turns out to be closely connected. This story will haunt you long after you finish the book. The title story and the closing “Nate in Bed” are unusual in that they are written in second person. In the first, Louisa looks back and addresses Bear, her on-again, off-again boyfriend in college and grad school, as she tries to make sense of their love-hate relationship. In the latter, Louisa is the mother of a 16-year-old boy, Nate, whose recent missteps she is trying to understand so she can guide him forward. In the hands of a lesser writer, these two stories might be awkward and artistically unsuccessful, yet Gornick writes with impressive command of her characters, stories, and prose. We encounter Louisa again as she learns the truth about her parents’ marriage and her mother’s death in a car accident (“Lion Eats Cheetah Eats Weasel Eats Mouse”). In “Misto,” we catch up with the daughter Lizzy gave up, Brianna, who is now sixteen years old and on vacation in Venice with her adoptive parents, Richard, a lawyer, and Lena, a hospital administrator. Two important people from their past, Richard’s old college roommate and Lena’s dying father, haunt their present as they try to figure out their next steps in these fraught relationships. “Priest Pond,” set on Prince Edward Island (part of Canada’s maritime provinces) and the Upper West Side, is the best story Alice Munro never wrote. Charlotte McPherson, a lonely and depressed mother from rural PEI, drives her pickup truck to New York City in an attempt to find her long-incommunicado son, Eric. She has the name and address of someone who might know his whereabouts and is praying that this person can help her. Dr. Rendell is much more than Charlotte expected and knows far more than where Eric might be; she knows he is a different kind of young man than his mother believes. The penultimate story, “Barberini Princess,” explores the relationship between a therapist and the Colombian immigrant who cleans her office each Saturday; they rarely see each other, yet they have inadvertently found a place in each other’s lives in a most unexpected way. That’s one of the noteworthy traits of these stories; they are not predictable. In particular, you will never see the end of the novel coming. While a few of the stories (“Priest Pond,” “Raya in Rapahu,” “Barberini Princess”) don’t quite fit into the “novel” concept, they don’t interrupt the overarching narrative because they feature similar settings and themes. They are also among the strongest selections in Louisa Meets Bear‘s novel-in-stories. If you appreciate intelligent fiction intended for grown-ups, Louisa Meets Bear is a book worth reading (as are Tinderbox and A Private Sorcery). This is a mostly somber collection, but there are moments of laughter, love, and quiet contentment that capture universal experiences. 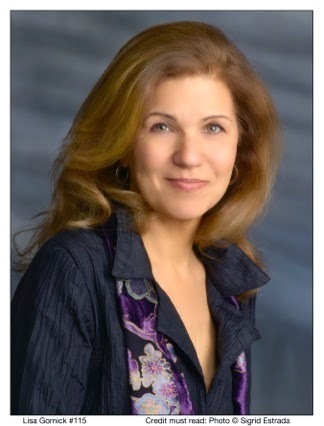 Other readers may not yet be familiar with Lisa Gornick, but you should not hesitate to experience the intellectual and emotional satisfaction that can be found in her writing.